Dimensions: m. 13,6 x 1,5 x h 8. 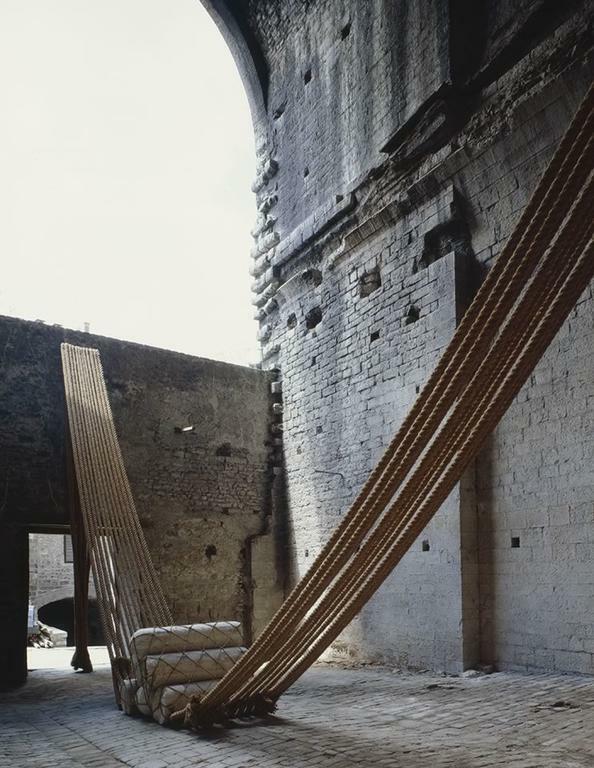 Funda tracta, a net cast out in order to create a powerful dialogue with the space in an enormous room in the foundations under Palazzo dei Consoli. 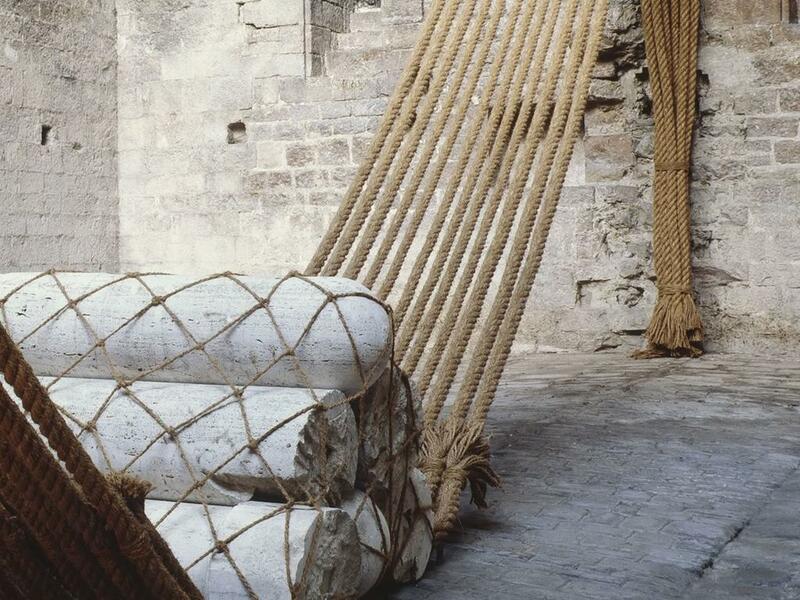 The six elements of travertine recall the ancient measurements of the Roman terminus. While the net that surrounds them refers to an ancient tradition that places the existence of a fish market in this place. 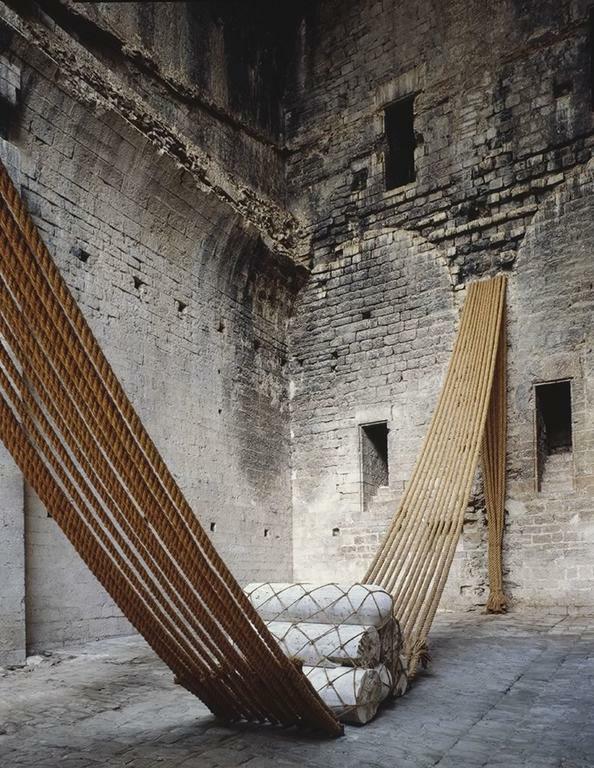 This central part of the incursion, instead of suggesting the idea of a suspension, appears rather settled in the inferior part of the curve formed by the twelve thick ropes of coconut fibre as if supporting the collected weight; the ropes, attached high up on the wall, fill the space with their thick materiality and yet altogether light to the eye, while the light that falls from above designs shadows on the ground, creating another type of dialogue with the space chosen for the installation.